Ford aims to have one of the largest automotive manufacturer research facilities in Silicon Valley by the end of 2015 with the opening of its Research and Innovation Center in Palo Alto. While Ford opened its first office in Silicon Valley in 2012, this new facility aims to accelerate the development of ‘technologies and experiments in connectivity, mobility, autonomous vehicles, customer experience and big data’. Some 125 researchers, engineers and scientists will be employed there by the end of the year, including engineer Dragos Maciuca. He joins Ford from Apple and will work as senior technical leader at Palo Alto. The Palo Alto team will also contribute to the Ford Smart Mobility programme, which was announced earlier this month at International CES in Las Vegas. The Palo Alto team will expand collaboration with Stanford University on autonomous vehicles, contributing a Fusion Hybrid Autonomous Research Vehicle to the college’s engineering programme. They will begin testing the path planning-and-prediction algorithms which researchers have been developing. 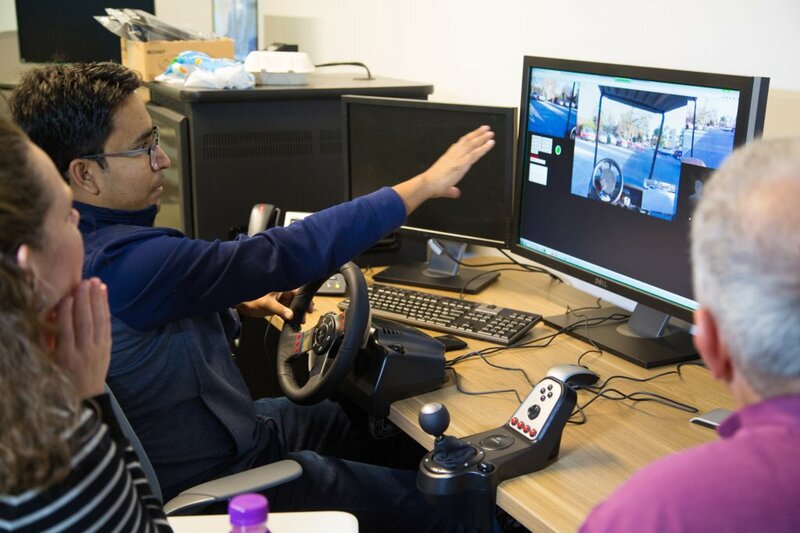 Meanwhile, the gaming software-based aDRIVE (Autonomous Driving Refined in Virtual Environments) will test algorithms such as traffic sign recognition in ‘dynamic driving situations’. Ford says this will allow for ‘more aggressive time lines for validating driving algorithms to prepare for on-road testing’. Ford is also integrating with the Nest system, which targets home energy and emergency system management. Among these is the Away Mode, which automatically turns on your home heating to the preferred temperature once the car gets close to home. The Nest Protect system can warn Ford Sync if home emergency notifications are triggered. Speaking of the new Palo Alto facility, Ford president and CEO, Mark Fields said: ‘At Ford, we view ourselves as both a mobility and an auto company, as we drive innovation in every part of our business. ‘This new research center shows Ford’s commitment to be part of the Silicon Valley innovation ecosystem – anticipating customers’ wants and needs, especially on connectivity, mobility and autonomous vehicles.